I got home last night and checked the mail. 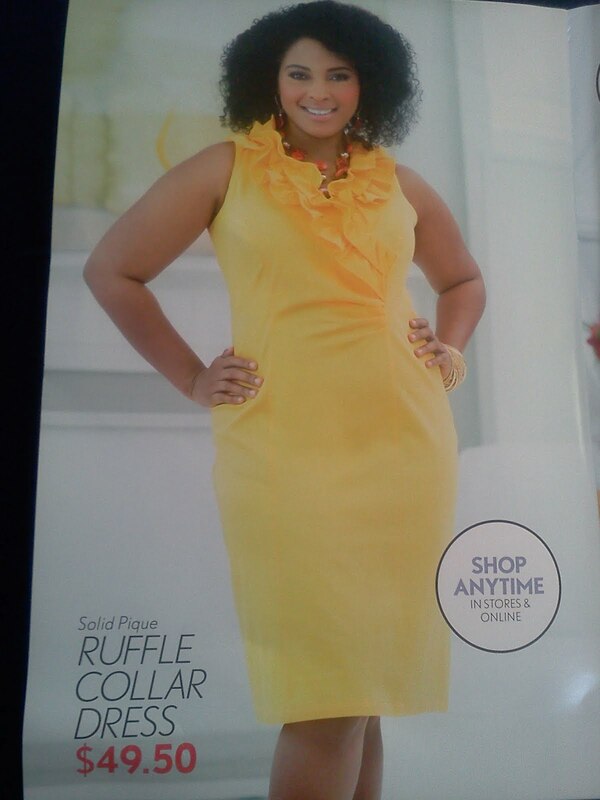 I was so happy I received a preview & coupon for Ashley Stewart. They are announcing their Spring dress line. I open and see the wonderful yellow ruffle dress. I love it. I went straight there to try it on today. They had just pulled it out the plastic. The lighting in fitting rooms is terrible, but there was no one around to take the pic for me. I don't look exactly like the model but that's what body sharpers are made for. I still love this dress. I'm getting it for my birthday March 25th. Thanks Ashley Stewart for the coupon or it would be outside my budget. I will be showing the final outfit Sunday, March 25th my 35th birthday. So excited.